Intercontinental Hotel Group (IHG) officially opened the Indigo London Paddington today, and immediately made headlines as a result of the property’s hanging basket – the largest in the world. The property is the first Indigo Hotel outside North America, where there are 21 properties, and is our first chance to see the new “accessible luxury” brand from IHG, which also runs the Holiday Inn and Crowne Plaza brands. IHG’s CEO Andy Cosslett said that the new brand is an upscale one, sitting “adjacent to the Holiday Inn and Crowne Plaza brands, but is a very different proposition from either. 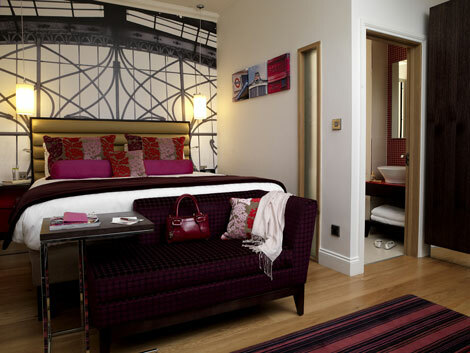 The Paddington hotel is a conversion of a number of properties in an enviable location close to London’s Paddington station with its convenient connection to Heathrow via the Heathrow Express. 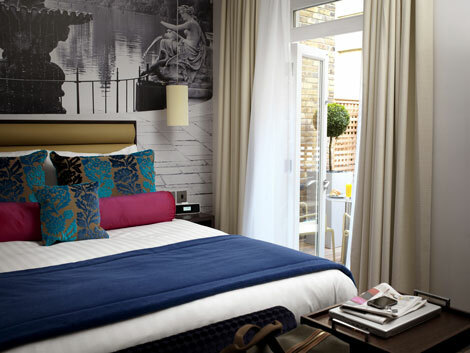 The 64-room hotel will be joined by three more Indigo properties, all slated to open before 2012 in London. 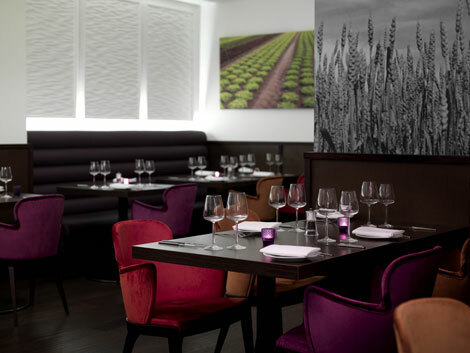 The three are Cannon Street, a 38-room, five-storey townhouse with a 70 square metre roof garden, a gym and a restaurant; Philpot Lane, a 43-room, five floor conversion with a street front restaurant, bar and gym; and Kensington Church Street , a 51-room, four storey conversion with a restaurant and gym. Speaking at the launch Robert Shepherd, IHG’s vice president, operations support, development and franchising UK and Ireland said that it was important to establish the brand in prime locations such as London before rolling out the brand across the UK, but that regional locations are being actively considered. In November 2008, IHG announced plans to open Hotel Indigo Shanghai on the Bund in Shanghai, China. The 180-room hotel will open in time for the Shanghai Expo in 2010. For more information visit hipaddington.com, ihg.com.